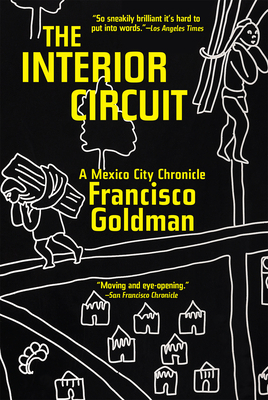 Coming off the most successful book of a decorated career--Say Her Name--The Interior Circuit is Francisco Goldman's timely and provocative journey into the heart of Mexico City. The Interior Circuit is Goldman's story of his emergence from grief five years after his wife's death, symbolized by his attempt to overcome his fear of driving in the city. Embracing the DF (Mexico City) as his home, Goldman explores and celebrates the city, which stands defiantly apart from so many of the social ills and violence wracking Mexico. This is the chronicle of an awakening, both personal and political, "interior" and "exterior," to the meaning and responsibilities of home. Mexico's narco war rages on and, with the restoration of the Institutional Revolutionary Party (the PRI) to power in the summer's 2012 elections, the DF's special apartness seems threatened. In the summer of 2013, when Mexican organized crime violence and death erupts in the city in an unprecedented way, Goldman sets out to try to understand the menacing challenges the city now faces. By turns exuberant, poetic, reportorial, philosophic, and urgent, The Interior Circuit fuses a personal journey to an account of one of the world's most remarkable and often misunderstood cities. Francisco Goldman is the author of the novels: Say Her Name; The Long Night of White Chickens, winner of the Sue Kaufman Prize for First Fiction; The Ordinary Seaman, a finalist for the IMPAC Dublin Literary Award; and The Divine Husband. His last book of non-fiction, The Art of Political Murder, was awarded the Index on Censorship's TR Fyvel Freedom of Expression Book Award.